I’ve been a huge fan of Anne Rice’s since I first stumbled upon her vampire chronicles as an impressionable lass of 14. I think the first book my friends and I read was The Queen of the Damned and it still remains my favourite out of her vampire books (and the film isn’t bad either, much better than Interview with a Vampire). There was something about her lush, rich writing style and the beautifully gothic world she created that just captivated me. I think I’ve read almost all her books except for her novels about Christ and her series on angels. So when it came to my notice that she was doing a signing a few weekends ago, I thought I’d go and get my 1st edition of Interview with a Vampire signed and nab a copy of Angel Time. Seems angels are all the rage at the moment. I really enjoyed Danielle Trussoni’s Angelology which I read early last year, so was looking forward to this one, especially since it’s by Anne Rice. Angel Time is about an assassin who has to wrestle with his identity, conscience and belief in God, who is given a chance to redeem himself through the intervention of an angel. Unfortunately, I found it a difficult and listless read, even though it’s a pretty slim book. Her protagonist Lucky the Fox, a cold-hearted assassin with nothing to live for, and who has been killing on demand for the last ten years, is rather too emotional considering he’s a cold blooded killer. His back story dragged on. There was too much showing and not enough telling. I admit that the last third of the book did improve with a bit of time-traveling to medieval England and the plight of the Jewish people, but my overall feeling was that Rice was being too indulgent, lazy with her characterisation which seemed rather stereotyped and there definitely needed to be more tightening of the content. And Lucky’s angel, Malchiah, had no character at all. All he had was love for Lucky. I kind of wanted to know why. If Lucky couldn’t love himself, why would anyone else love him? I know this sounds harsh but as a life-long fan, it was hard work and I just didn’t really enjoy it as much as I wanted to. I’m not really sure if I’ll bother with the next one, but since I’m a stickler for finishing what I’ve started, I might just give it a go and hope I enjoy it more. I really miss the tense and luscious story-telling that was Rice’s trademark, especially in her earlier novels such as The Witching Hour which is still my favourite, and I do hope that some of you will go and try her earlier vampire novels starting with Interview with a Vampire and the lives of the Mayfair witches starting with The Witching Hour because all the other vampire/witchy novels out there will pale in comparison. Trust me. I might just have to go back and re-read them if I need to get my Anne Rice fix. 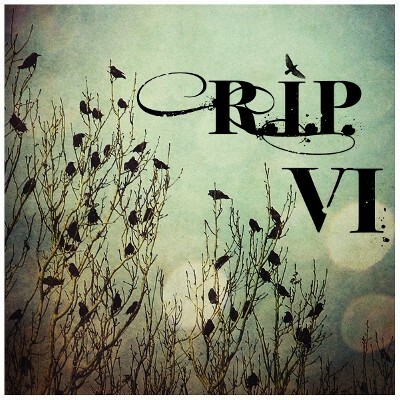 I read this as part of the R.I.P. VI Challenge. I kind of gave up on her stuff after Blood Canticle, and it doesn’t sound like I’d enjoy this one much either I love her earlier books but the recent ones just don’t do it for me. I know, SOB. I’d heard many things about this book and most of it wasn’t pretty, but still, when it comes to books, I’m an optimist so had to give it a go. 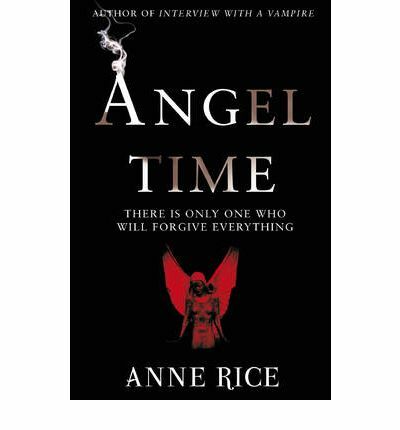 I loved Anne Rice’s vampires and witches, but I haven’t read any of her newer stuff, and Angel Time certainly isn’t tempting me. I’ve never read any of Rices’ books, although I’ve looked at her vampire novels a few times and wondered if I should give them a try. I think I have that Angelology book around here somewhere, bought on a whim, or because I liked the cover, probably. It’s disappointing when an author we enjoy reading seems to run out of steam, but Rice has been going through that whole spiritual crisis thing, so that may account for the (hopefully temporary) loss of her writing mojo. I was disappointed with The Sense of an Ending, because I didn’t think it was up to Barnes’ usual gold-star standard, but I’m not sure if that was just me not being in the mood, or if he was in cruise mode. Did you ever read The Mummy? Suuublime ! I did, a veeeery long time ago. All I remember was that he was rather menacing. I may have to go back and re-read that one. A little late here for me, but still: I’m sorry it didn’t work for you. Hell, it didn’t work for me either, but as both of us are lifelong fans, this huuuurts. Even now, though, I can’t help looking at the sequel in the shelves and wondering if I should give that a go, haha. I miss her vampires, the lushness of those characters, the stories. The Witching Hour is an all-time favorite of mine, too–I just loved the mix of narrative and “found records” and those big families and that lovely catatonic chick, haha. That was a thick book I carried around, and lovingly too. Here’s to impressionable lasses of 14!